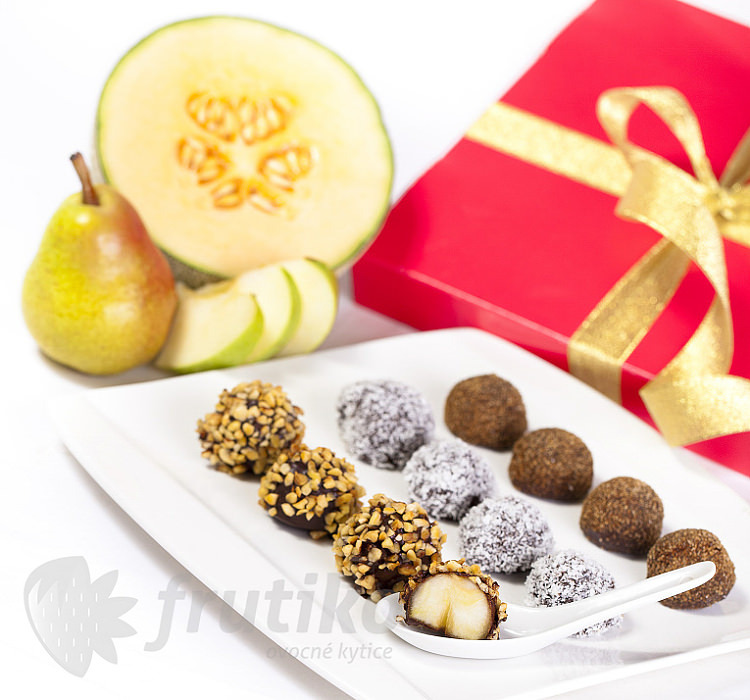 Chocolates Balls created from fruit balls dipped in chocolate decorated with nuts, coconut and cinnamon bring delicious combination of fresh fruit and high-quality chocolate. 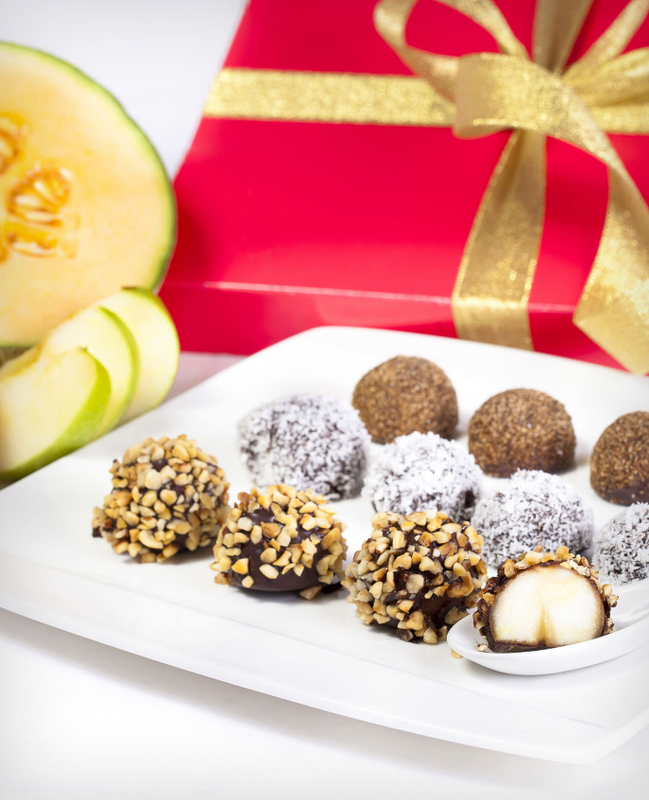 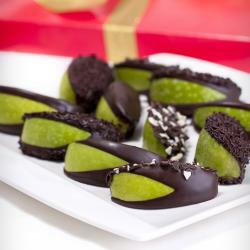 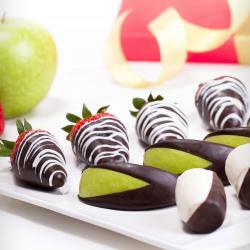 Box contain fresh apples, pears and melon in chocolate. 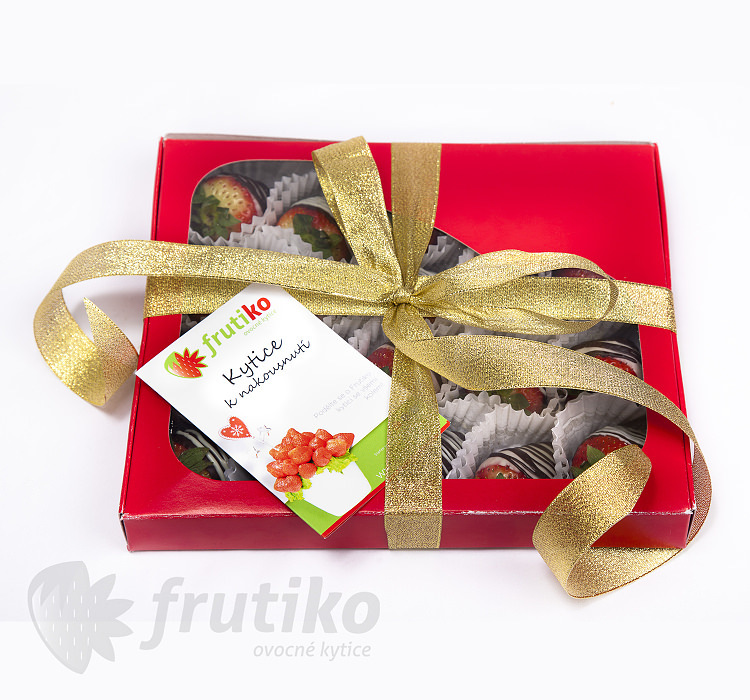 Standard boxes contain 15 pieces of fruit in chocolate Big boxes contain 20 pieces. 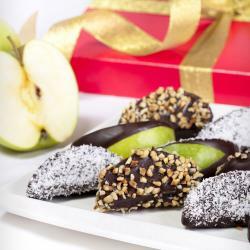 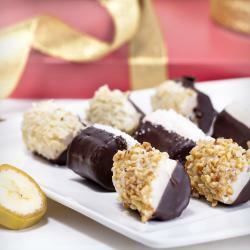 Feel free to taste, sweet apples, pears and melon in chocolate will surely delight you. 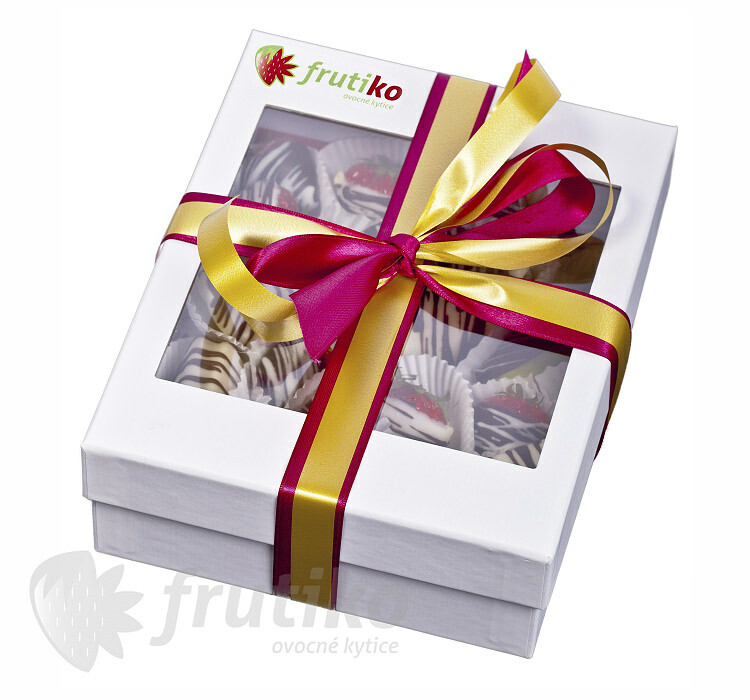 For delicious combination of fruit and chocolate taste Frutiko Chocolate flowers.